Here at the Custom Cushion Factory we make all of our cushions from the highest quality Outdoor Furniture Fabrics, leaving you with a cushion that with outlast any quality and comfort you have experienced! This season we have been flooded with Customers looking for Replacement Cushions for the Martha Stewart Everyday Outdoor Patio furniture Sets being sold at Superstores such as Kmart, Sears, Home Depot, Target, Sam’s Club and Walmart and believe that we have perfected the only Replacement Cushions for the Everyday Outdoor Patio Furniture Sets, being double sided for twice the life, and our fabric is used for a much higher durability than other outdoor fabrics and outdoor life expectancy! Our Outdoor Cushion Fabric is made here in the USA and has satisfied thousands of customers looking for Replacement Cushion sets for the Martha Stewart Furniture Made by JRA Furniture and we guarantee wholesale pricing and superb quality! Here at Martha Stewart Replacement Cushions we have designed a program specifically to serve people looking for Replacement Cushions for their Outdoor Patio Martha Stewart Furniture sets including but not limited to chaise lounge chair cushions, ottoman cushions, bar chair cushions, club chair cushions, dining chair cushions, swing cushions, high back chair cushions, recliner cushions, sofa cushions and any other piece of the Martha Stewart Furniture Set you may own for your patio! We are not affiliated with Martha Stewart or her furniture line but receive enough patio furniture replacement cushion requests that we built a basic website that sells Replacement Cushions, although they are made differently, we make them this way because our 30 years in the Replacement Cushions business and the customer feedback from thousands of customers a week tells us our work is flawless so you can buy with comfort knowing you will receive only the best! 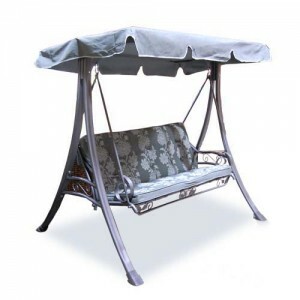 Highest Quality Patio Furniture Fabric! | Custom Cushions for Martha Stewart Furniture! Here at Martha Stewart Replacement Cushions also known as the Quality Outdoor Patio Cushions Factor we have a huge selection of Discounted Clearance Fabrics that are the most awarding grade acrylic fabrics rated for 10 years of protection against fading as well as overall strength. Many fabrics are made with a surface layer only, leading to fading when that layer is penetrated. Our fabric is dyed in a way that it is just as rich at the core as it is on the surface, giving you the closest thing to a non fading fabric as you will get! We are a Quality Custom Replacement Cushion factory with over 25 years of experience satisfying every customer we take in! 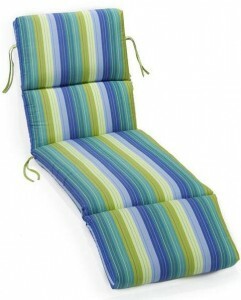 Considering you found your way here, you are lucky enough to buy directly from our custom outdoor cushion factory, which gives you the opportunity to receive bottom of the line wholesale prices, not to mention our experience leaves us and more importantly you, with the top of the line fabrics, service and of course beautiful comfortable Replacement Cushions! 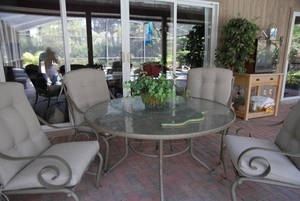 Retailers such as Sears and Kmart sell furniture and sometimes replacement cushions as well that may be for your outdoor Martha Stewart Patio Set made mainly by JRA Furniture which use fabrics that are not made in the USA nor up to par as far as quality goes (which is why you found us). 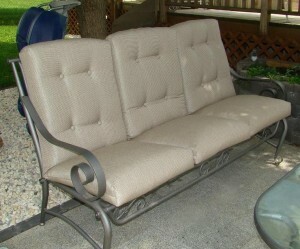 We provide not only a lower priced replacement custom made cushion, but a product that will last you much longer due to our quality outdoor top of the line patio furniture fabric. Replacement Patio Furniture Cushions for Martha Stewart Outdoor Patio Sets including Martha Stewart Dining Chair Cushions, Martha Stewart Chaise Lounge Cushions, Martha Stewart Sofa Cushions, Martha Stewart Ottoman Cushions, Martha Stewart Loveseat Cushions and more at wholesale pricing! At the cushion factory we receive thousands of replacement cushions a day from around the United States and when we start seeing familiar Martha Stewart Cushions we look into it and find the furniture set they came off of and even though we are not associated with Martha Stewart in any way, we provide a VERY HIGH QUALITY replacement cushion that we guarantee will bring your Patio Set back to life for much longer than it lasted before! Again, these cushions are not replicas of your original, but better, we have produced a cushion that fits perfect but is made slightly different (better), and is designed the way we make 95% of our cushions with quality that will speak for itself from the inside to the outside. Here at the Cushions Factory we have been manufacturing Outdoor Patio Set Replacement Cushions 29 years and stand by our Replacement Cushions and all our products with a guarantee! CANT FIND YOUR CUSHIONS??? We make hundreds of Custom Replacement Cushions a day and we guarantee the highest quality Replacement cushions at the lowest price, not to mention we ship custom orders in 7-14 days! Custom Cushion Design with Non-fading Outdoor Fabrics for 5x the Cushion Life! We take pride in ever cushion we develop, design and/or customize! 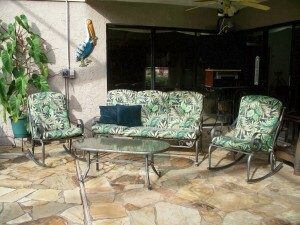 We strive to provide ever customer looking for cushion replacements with a fast, easy and economically priced solution! We can many ANYTHING and we make an art out of what we do with 30 years in the business and thousands of happy customers daily! If you’re in need or outdoor, window or daybed patio curtains and drapes, check out our Sunbrella curtains and drapes selection!